More and more machines are observing the world in a growing number of ways. This helps them understand the physical world that humans are living in. And allows them to present their digital data in the context of that physical world. 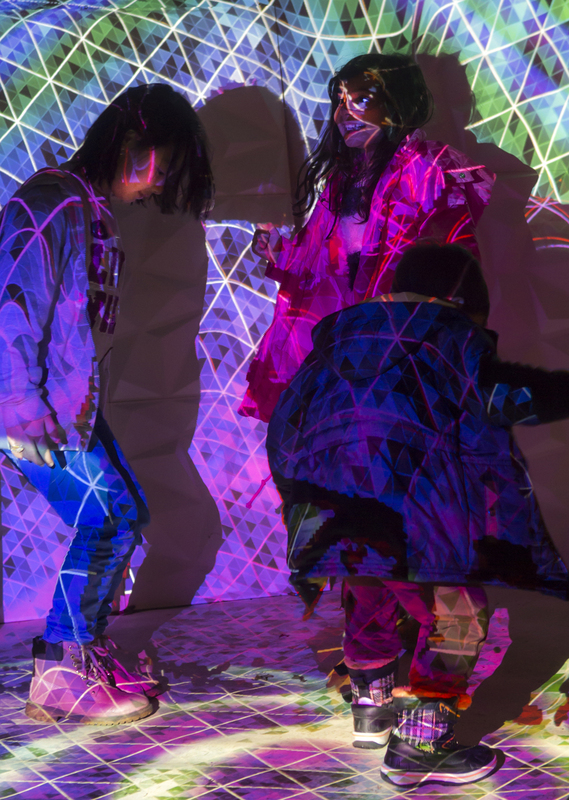 In this interactive installation visitors trigger colored triangle sweeps across the floor, the walls and themselves. This results in a colorful interaction between participants and their surroundings. The installation invites visitors to actively participate. The installation uses a Kinect V2 and a projector that projects on the dynamically changing world. The installation was inspired by a video of Microsoft that explains how the HoloLens sees the world by triangulating it.